The Fridtjof Nansen Award of Excellence is awarded to Norwegian researchers, or researchers resident in Norway, who has shown scientific contributions of international significance on a very high level. 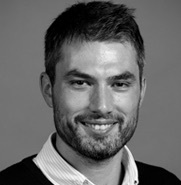 Fridtjof Nansen Award for Young Scientists for 2016 is divided between Professor Magne Mogstad at the Department of Economics, University of Chicago, for his outstanding research in the fields of economics and Principal Investigator Kyrre Eeg Emblem from the Intervention Centre at Oslo University Hospital, for his outstanding contribution to medical diagnostics. The awards are presented by the chairman of The Nansen Foundation and Affiliated Funds, Professor Øyvind Østerud, on the Annual meeting of The Norwegian Academy of Science and Letters on Tuesday 3 May, 2016 at the Grand Hotel, Oslo. Winners of the Fridtjof Nansen Award for Young Scientists receive a diploma and 100 000 Norwegian kroner. It can be awarded to Norwegian researchers or scholars resident in Norway under the age of 40. Kyrre’s main research interest is advanced magnetic resonance imaging (MRI) of cancer, particularly by perfusion MRI. Early work during the PhD at Oslo University Hospital / University of Oslo focused on pre-surgical brain tumor characterization for improved treatment planning and computer-aided-diagnostic procedures for reduced user-dependency. This work was followed by a postdoctoral fellowship at Massachusetts General Hospital and Harvard Medical School in Boston, USA, monitoring cancer patient response to anti-angiogenic therapies with focus on perfusion and vessel size MRI. Recently, as principal investigator for the LOOPS project (2013-2017) and the TREATMENT project (2016-2019) at Oslo University Hospital, efforts focus on Vessel Architectural Imaging. This is a new MRI-based method that assesses in vivo information on cancer vessel type, structure and metabolic function for early identification of primary (LOOPS) and metastatic (TREATMENT) brain cancer patients most likely to benefit from targeted therapies, including immunotherapy. The goal is to define how best to move the field of cancer therapy forward and find predictive and prognostic imaging biomarkers for better identification of judicious, patient-specific treatments.